Touristically speaking Cambodia and Angkor Wat, the Khmer temple that is located near the city of Siem Reap, built by King Suryavarman II between 1113 and 1150, for the Guinness Book of Records, is the broader religious place in the world, for Cambodia’s main tourist attraction, often inserted in a route from Thailand will arrive at Angkor Wat. But obviously Cambodia is changing, thanks to tourism, and today offers other tourist destinations, such as the largest open-air museum of butterflies in Southeast Asia, which is always close to Siam Rep. The Banteay Srey Butterfly Centre offers visitors an amazing sight: here visitors can observe the entire life cycle of the butterflies, the pupae to the first flutter of colorful and rare specimens. But the center is also a great resource for the local economy. The Center supplies the villagers of cages and teaches them how to distinguish between different species. During metamorphosis the pupae are protected in these boxes. The sale of the butterflies fruit about 140 euro per month to farmers, a substantial sum in this poor area of Asia. 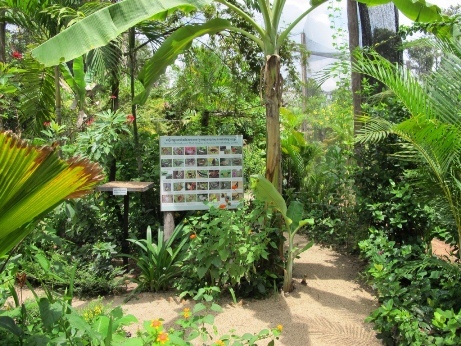 The Butterfly Center protects the butterflies and their habitat. Too bad, the Wwf noted that Cambodia will not pay as much attention to tropical forests, which in forty years have reduced by 25 percent.